Need To Sell Your House In Connecticut Fast? We’re Ready To Make You An Offer On Your CT House Now! 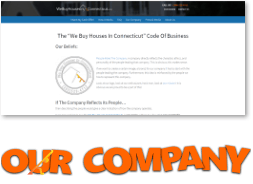 “We Buy Houses In Connecticut“, is a no-nonsense house buying company that offers cash for houses in CT. If you need to sell your house for cash, we’re serious about buying it. Make no repairs, no inspections and no commissions. Our offers are based on the projected “After Repair Market Value” of your home. This allows us to often offer more than what the house is currently worth. Give us a shot, we promise to be fair, honest and genuinely helpful. You will be glad you did! I desperately needed to sell my house and my desperation was quite obvious. Jerryll’s offer was $20K higher than the competition and I told him what my previous offers were. He could have simply offered me $1000,- more, but he didn’t. Really honest company. How Do I Sell My House Fast In CT? I need to sell my house in Connecticut fast but I do not want to pay agent fees or wait months hoping the house will sell. I just want to sell my house in Connecticut and walk away with Cash in hand! The fastest way to sell your house is to attract people that can make cash offers, that are experienced, transparent, and honest. Just present us with some information on your home in Connecticut, and we will get our team on it immediately. We will work hard to give you our highest possible offer. This is our genuine promise to you. We are not agents. We are not going to list your property on the MLS, and more importantly, we are not making any sales commissions. We are an organization that will buy your house directly from you. We are the buyers of your house in Connecticut so you can skip the middleman and bypass all these lengthy procedures and hefty commissions so you can be done with your house effortlessly without having to pay money out of your pocket for clean up, repairs, or commissions. Best of all, there are no lengthy periods of time involved with this transaction. 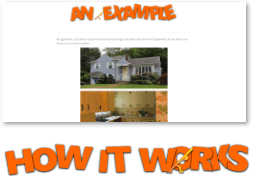 We Offer A Better Way To Sell Your CT House! Ask around. The average home seller has a terrible experience listing their property in Connecticut with an agent. This doesn’t have to happen to you. We offer more money, faster service, and a better experience! Just ask our customers! You will get your offer right after the walk-through, and show how we calculate your offer. Total Transparency. Our Services Are Free, We Pay Closing Cost! There is no cost dealing with us. Just fill in the form, and we’ll present you with our offer. No obligation to accept. Take what you want, leave the rest. We’ll take care of it all. Make No Repairs, We Buy As Is! Offer will likely be higher if we do not have to undo, and then redo repairs you make. No Realtors, No Agents, NO COMMISSIONS! We do not involve agents or realtors in the buying process. This means, No Agent Fees For You To Pay! Already Got An Offer? Let Us Try To Beat It! When we say “We Buy Houses As Is”, we do mean, As Is! Take what you want, leave the rest, when you sell your home to “We Buy Houses In Connecticut“! Yes that is correct. Food in the fridge, dirt on the floor, clothes, rubble, trash, furniture, it doesn’t matter how bad it is, believe us when we say, we have seen worse, we have seen it all. 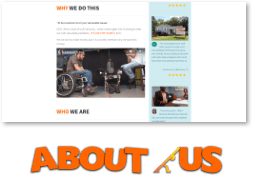 We are not here to judge, we simply want to make your selling experience the best it can possibly be when you sell your house to We Buy Houses In Connecticut! So don’t you worry about anything, we will take care of everything! We Offer A Better Selling Experience And We Mean This! We understand it is important you know we are legitimate, capable, and honest home buyers in CT. If you need to sell fast without any issues, an agent is not always the way to go. Foreclosure, dealing with a divorce, fed up being a landlord, behind on taxes, house is vacant or occupied, even if it is uninhabitable, it does not matter! Turn that headache into cash! Let us make you an offer on that house. They were great! – Why? – Because the deal was smooth, fair, and went through with complete “consideration” of my needs as the seller of the property. I have already recommended to other interested property owners in the area to give them a call. You have options of course. List with an agent or sell your house to us quick and hassle free. There are advantages and disadvantages to all options. See which option is best for you! If you are selling a home in Connecticut be sure to talk to us first! We make it very easy to sell your house in Connecticut fast. We have bought houses all over Connecticut in cash from homeowners just like you. We have bought houses all-cash in New Haven CT, to the other end of CT, we have purchased properties in Hartford CT, just to name a few. It doesnt matter where in CT you have a house for sale. 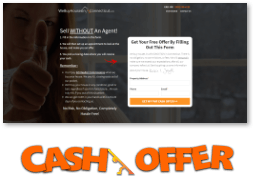 Whether you want cash for your house in Putnam CT, or you want a cash offer for your house in Bridgeport, we will buy it! There is no place in Connecticut we do not buy! If you think the solution is to sell for cash, just fill in our form to receive your cash offer TODAY! Noorden Estates LLC, is Google’s Top ranking Cash Buying team in Connecticut with the highest number of Google reviews. Whether you are trying to avoid foreclosure, inherited a property you do not want, dealing with a divorce, or are fed up being a landlord dealing with tenants, we can help. If you need to sell your house in Connecticut fast, we offer cash for homes in CT!